I hope everyone enjoyed their holidays. I did with all my family here to help celebrate the season. I had to dismantle my stamp room for our family's visit. So, it wasn't until yesterday, when the decorations were put away and my room back in order, that I able to enjoy playing once again. 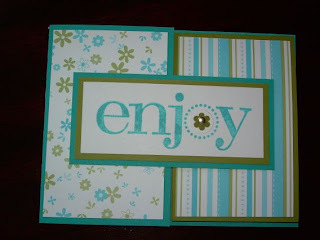 I did enjoy playing with "Enjoy Every Moment" a great stamp set on page 51 of the new Spring and Summer catalog. I tried a new card pattern from Technique Junkies called the "Flip-Flap-Fold Card." 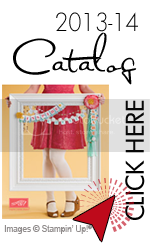 Its so easy and fun using our coordinated paper. I'll be showing you how in a class this month .